Give your dog or cat a pet bed designed with elegance, entirely made of durable wood construction with a beautiful dark brown finish. 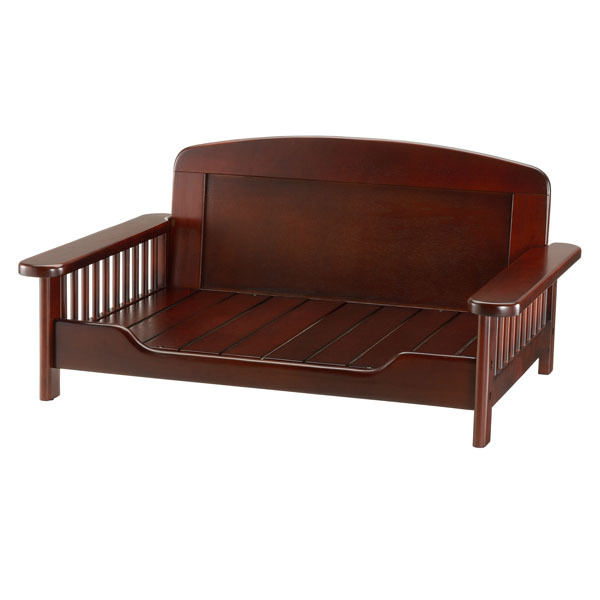 This bed is designed with elegance, made entirely of durable wood construction in a beautiful dark brown finish. The elevated design provides good ventilation for your pet to enjoy a comfortable sleep. It’s made to complement Richell’s Wooden End Table Pet Crate. Easy to assemble. For pets up to 44 lbs.